As a prominent feature of the face, your nose gives off a strong overall facial appearance. An attractive face is one that is balanced. A tiny nose of a full face can give off the same imbalance that a crooked nose does. 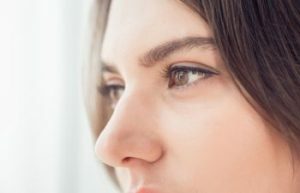 For aesthetic facial balance, many people are interested in nose reshaping to achieve a nose that is well proportioned and that naturally enhances the entire face. Nose reshaping surgery can be done to address a variety of concerns. Dr. Maurice Khosh is a skilled, highly qualified, and experienced cosmetic surgeon who has helped countless patients achieve a fuller, more confident life through nose reshaping. Whether your nose is naturally misshapen, has been injured and resulted in a crooked appearance, or you are simply unhappy with its appearance, Dr. Khosh can help you attain a nose that you are happy with. Both men and women can benefit from nose reshaping. This is most certainly a procedure that you do not want to take chances when choosing a surgeon. You need to choose a specially trained cosmetic surgeon who has extensive experience in facial cosmetic surgery. The results of nose reshaping are meant to be permanent. Too many times, Dr. Khosh has seen patients who are unhappy with the results of a previous nose reshaping surgery. Dr. Maurice Khosh offers his patients a truly specialized procedure, done with artistry and skill to help them achieve the nose that they have always wanted. Call now to schedule your consultation with Dr. Khosh.